Click the Start button in the lower-left corner of your screen. Type bluetooth settings in the search box, then select Change Bluetooth settings from the results. 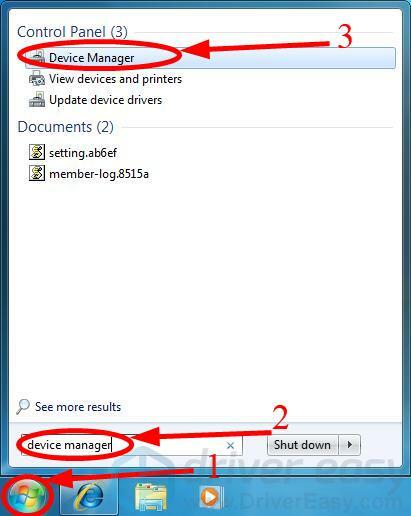 Make sure you check the boxes as the screenshot shown below, then click OK.
Click the little triangle icon on the bottom-right part of your screen, and you'll see the Bluetooth icon; it means you've turned on Bluetooth in your Windows 7. Congratulations! 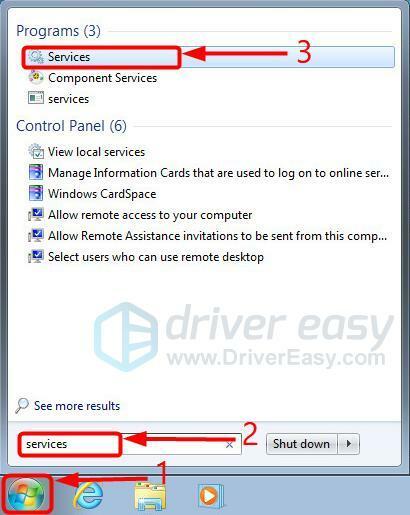 But if you don't see the Bluetooth icon in the system tray, don' worry, you can try the methods below to solve the problem. 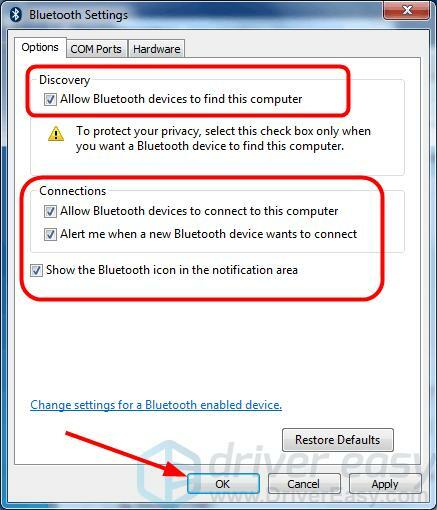 Here are the top 3 ways to fix Bluetooth issues on Windows 7. Just work your way down the list until you find the one that works for you. Bluetooth needs the supporting hardware and software to work. 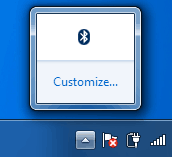 When you're sure your computer is Bluetooth capable but you somehow can't use it, the most likely cause is a Bluetooth driver problem. Fortunately, this is also the easiest problems to fix. 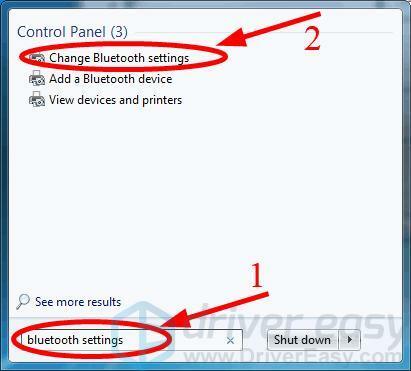 There are two ways to update your Bluetooth driver -- manually or automatically. 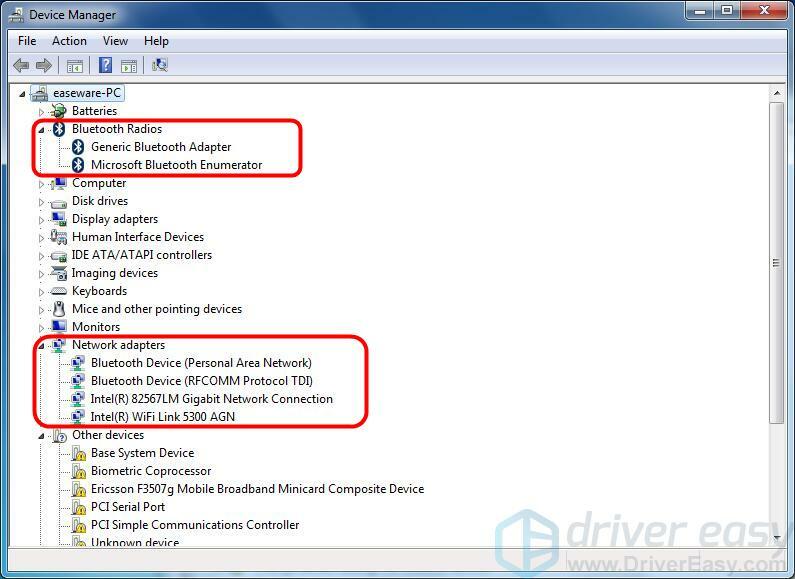 Update your Bluetooth driver manually -- You can update your Bluetooth driver manually by going to the hardware manufacturer’s website, and searching for the latest driver for your Bluetooth. But if you take this approach, be sure to choose the driver that's compatible with the exact model number of your hardware, and your version of Windows. 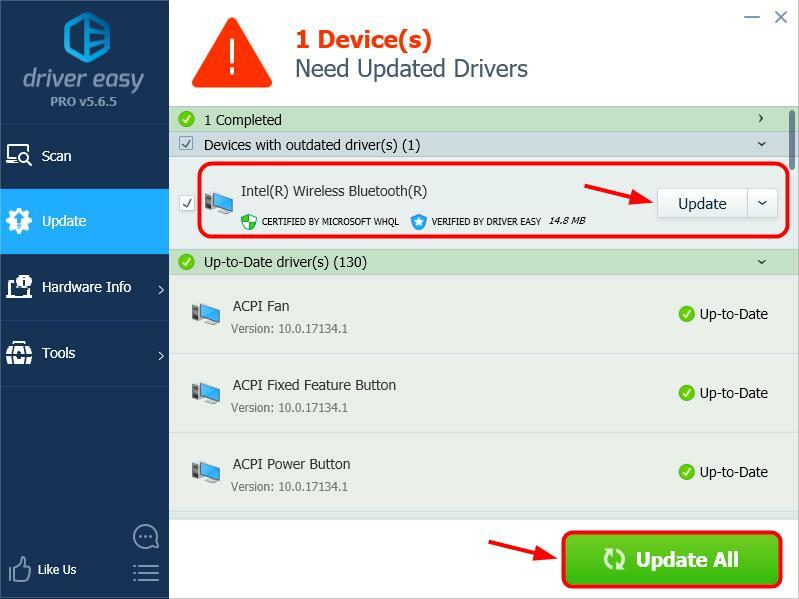 Update your Bluetooth driver automatically -- If you don’t have the time, patience or skills to update your driver manually, you can, instead, do it automatically with Driver Easy. You don’t need to know exactly what system your computer is running, you don’t need to risk downloading and installing the wrong driver, and you don’t need to worry about making a mistake when installing. Driver Easy handles it all. Restart your computer and check if you can turn on Bluetooth now. 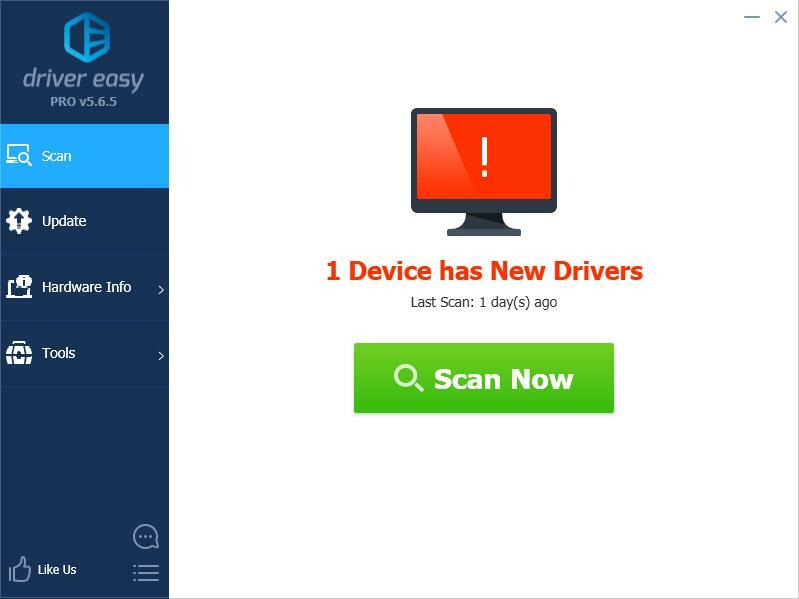 If you can't, contact Driver Easy's support team at support@drivereasy.com for further assistance. They'd be happy to help you. Or you can move on to Fix 2, below. Click the Start button, type device manager in the search box, and select the matching result. Expand the Bluetooth Radios category. You'll see the Bluetooth hardware listed there. If you don’t see the "Bluetooth Radios" category, find your Bluetooth adapter in the “Network adapters” category. It normally contains your network card that you use to connect to wireless or wired networks. 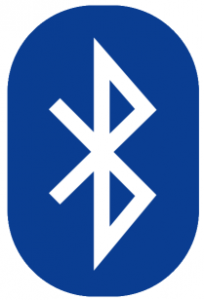 If there is a yellow exclamation mark on the Bluetooth icon, you need to install the proper driver before the Bluetooth will work. 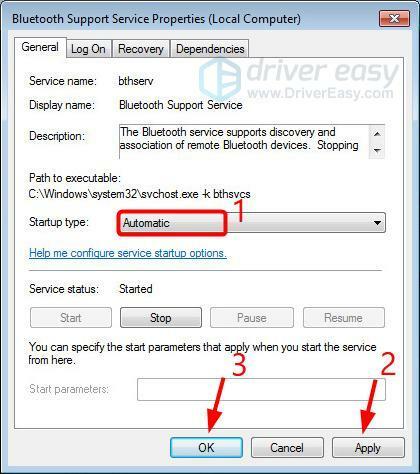 See How to install or update the latest Bluetooth driver as mentioned in Fix 1. 3) Right-click on your Bluetooth device and select Disable. 4) Right-click on your device again, then click Enable. 5) Click Show hidden icons. Can you see the Bluetooth icon now? If you do, congratulations. You've fixed the problem. But if it's still not there, try Fix 3, below. 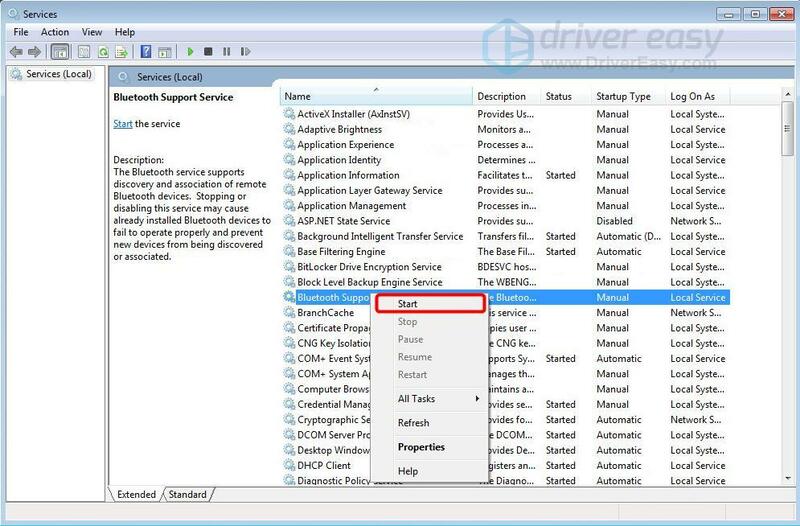 Type services in the Start Search, then select Services to access the Windows Services Manager. Right-click Bluetooth Support Service again, and this time select Properties. Set the startup type to Automatic. Click Apply, then click OK.
Now check if you find the Bluetooth icon in the Notification Area. You're, as always, more than welcome to leave a comment below to share your results or any other suggestions.